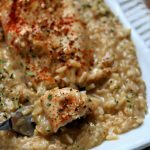 Slow Cooker Cheesy Pesto and Mushroom Chicken–We had so much fun making our first video “So Easy a Kid Can Do It” with Reagan making the Mexican Orzo that Skyler (my 6 year old) wanted to get in on the action! 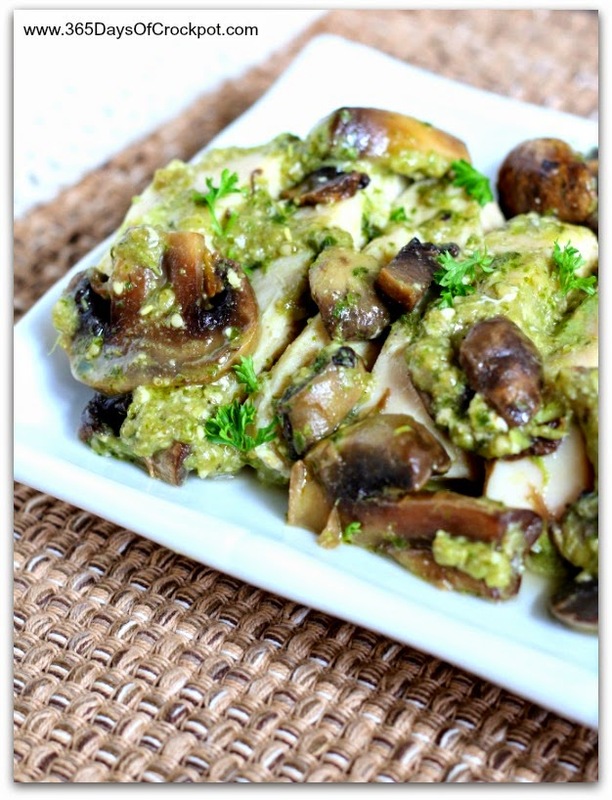 Here he is making a super simple but delicious recipe, Slow Cooker Pesto Chicken and Mushrooms. 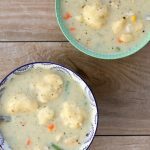 Get the full recipe by scrolling to the bottom of the post. The key to this recipe is the super short cooking time. 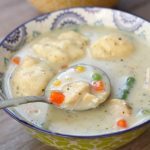 I know what you’re thinking, “but it’s in the slow cooker, my chicken won’t be cooked in time!” Well you’re wrong 🙂 Boneless, skinless chicken breasts simply should NOT be cooked longer than 4 hours in the slow cooker. And for best results they should only be cooked for like 2 hours on low (if you’re nervous, use a meat thermometer). That’s what I did and the chicken was tender and juicy. 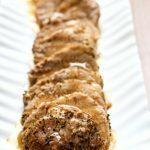 Not dry and gross like normal chicken breasts in the slow cooker. Believe me. 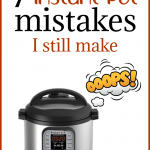 And if you don’t believe me then believe America’s Test Kitchen because they say the same exact thing in their new healthy slow cooker cookbook! Place chicken in the bottom of the slow cooker and salt and pepper it. You can put the chicken breasts in whole or you can cut into bite size pieces. Add the mushrooms to the slow cooker. 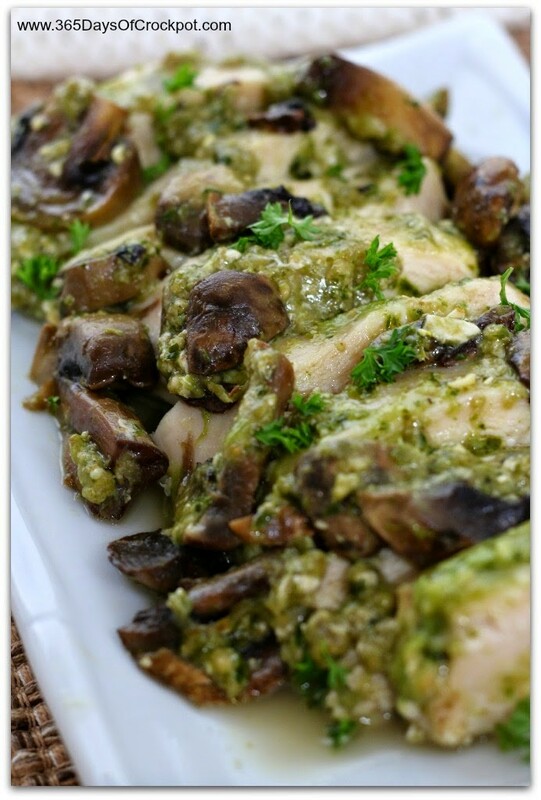 Spoon the pesto over the chicken and mushrooms in dollops. Cover and cook on low for 2-3 hours. Check chicken for doneness. If the chicken is already cut into pieces, stir a bit and serve. If the chicken is whole, then slice the chicken on a cutting board and stir together with the pesto sauce and mushrooms and then serve. 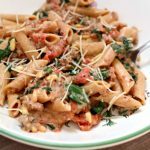 Since I am on a dairy-free diet could I leave the cheese out and still have a good result ? I am pretty sure you could. However check the ingredients of your pesto because a lot of them have cheese in them. Good job Skylar! Can't wait to try it! Karen, your kids are movie stars!